During a visit to L’anse Aux Meadows, this photo of an overworked Canadian flag was found. It clearly illustrates the tremendous impact the wind has on that area. In Conche and Englee, I have similar photos of worn out flags by wind. 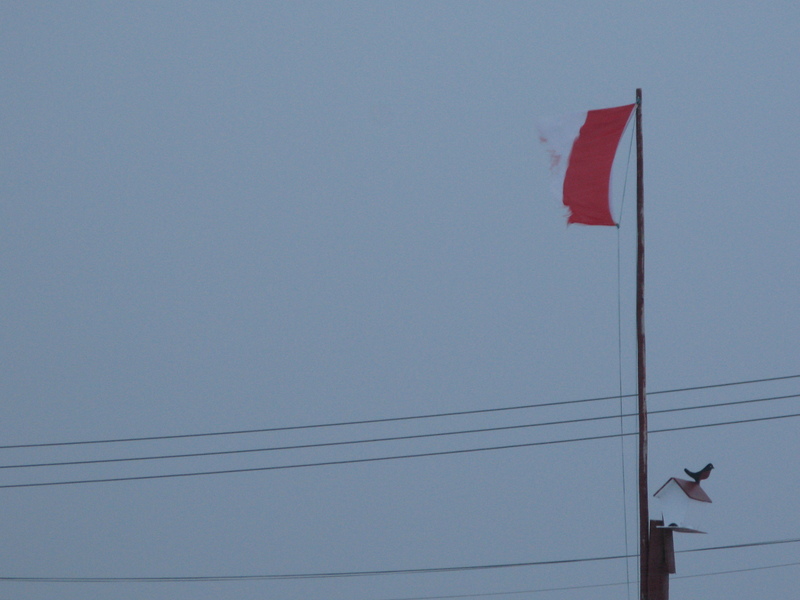 As well, in my own community in the Straits region – flags are replaced on a regular basis due to the consistent amount of wind. So I ask, wind power? Why not? 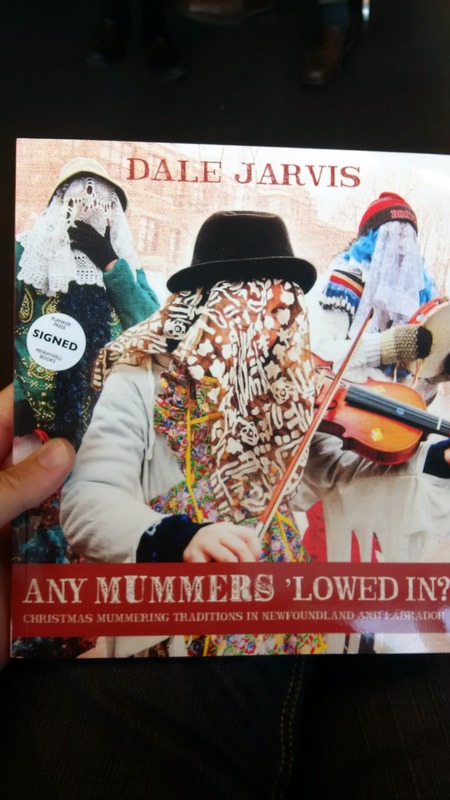 Second Annual Mummer’s Walk & Food Drive Draws More Participants! 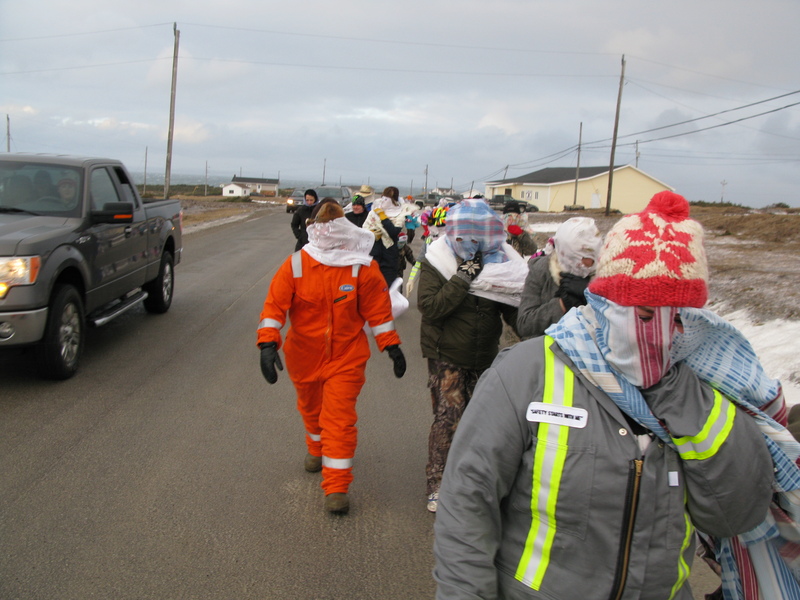 Sabrina Gaulton, NDP District Association President for the Straits-White Bay North organized the 2nd Annual Mummer’s Walk and Food Drive in the Straits. 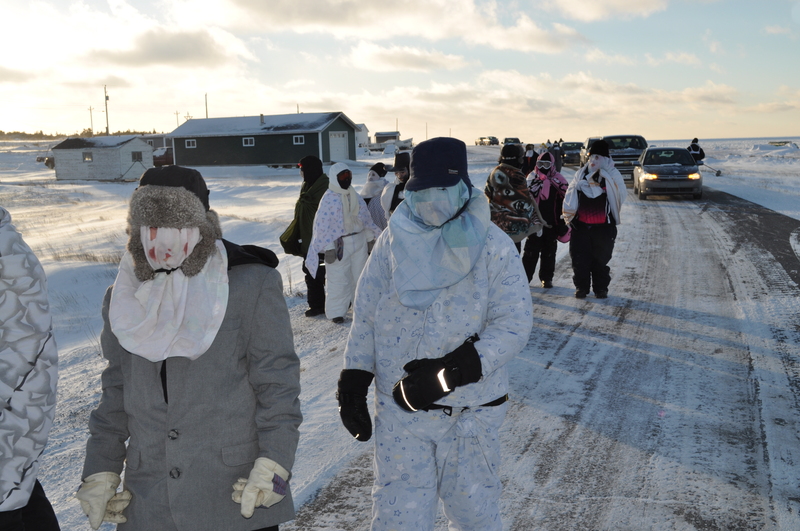 Despite the high winds more than 30 mummer’s or jannies came out from various communities to the Anchor Point Lions Club in mid-day to participate in the Mummer’s Walk and also support the local Food Sharing Association. “It is important that we keep traditions alive, promote active lifestyles and support local charities” states Ms. Gaulton. “We are greatly impressed by the number of food items donated, as after Christmas food banks are typically depleted”. She is quite fond of the tradition and would like to see more activities planned in Rural Newfoundland & Labrador that promotes these initiatives. 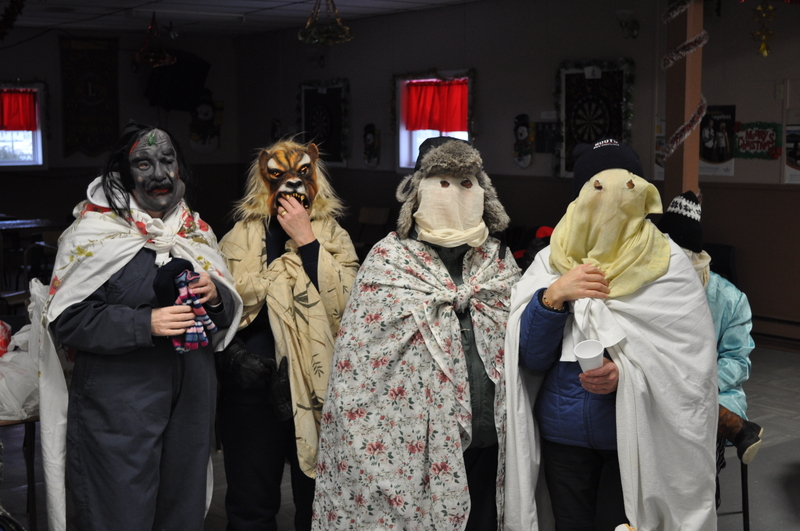 After a chilly walked and holding onto your mask with dear life all mummer’s made it safely back to the Anchor Point Lion’s Club for a glass of Purity Syrup or a hot cup of chocolate. 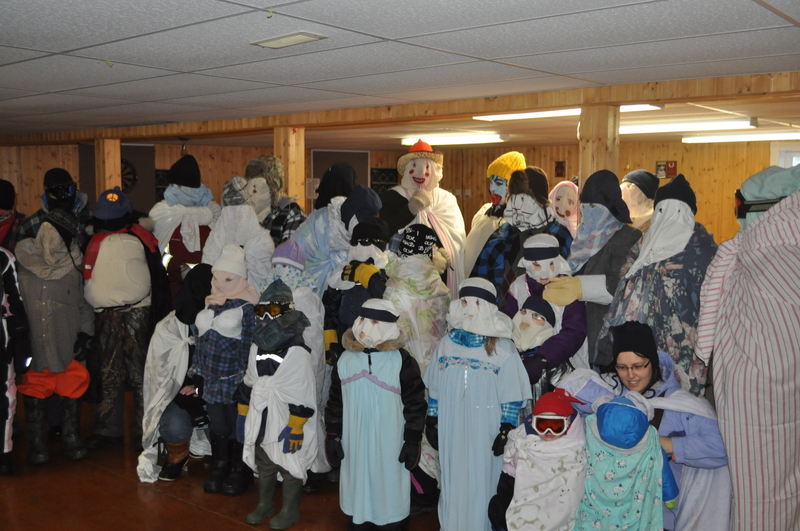 This year was an international mummer’s walk as we had for the first time a Swiss Mummer in the troupe. This is an initiative I am quite proud to participate and look forward to continued growth for 2012. 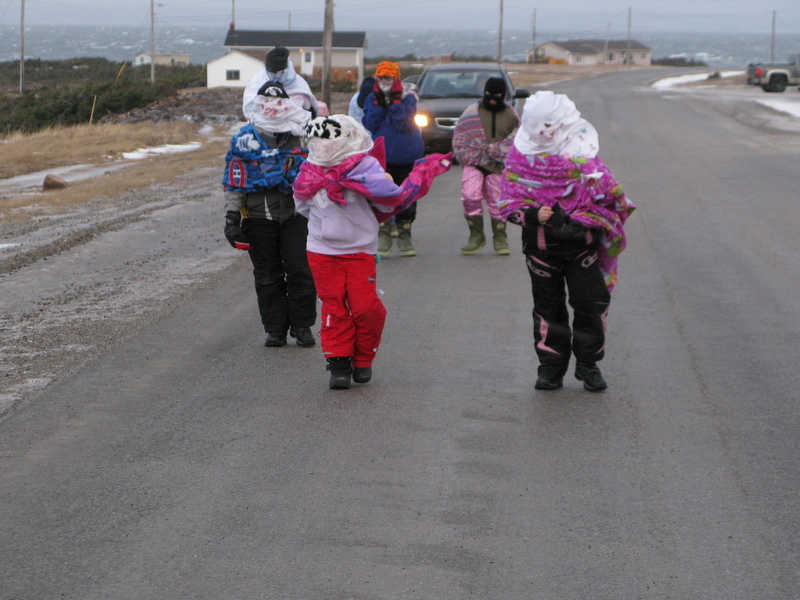 So mark your calendars on December 29, 2012 we will officially host the Mummer’s Walk in the community of Savage Cove.